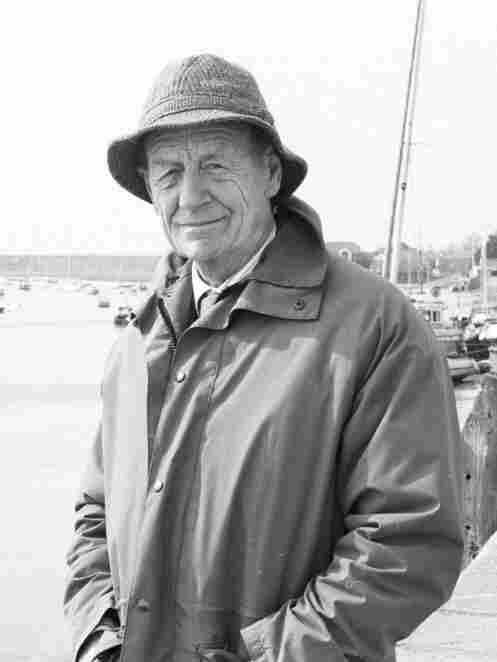 William Trevor: A Short-Story Master's Life Work William Trevor has been writing for more than 50 years and has won more literary awards than we have time to list. A volume of selected stories has recently been published, and Fresh Air's book critic Maureen Corrigan has an appreciation. 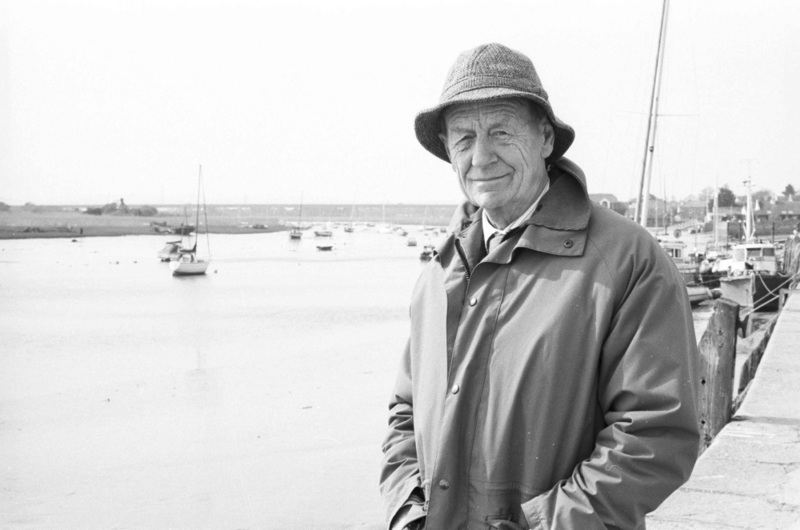 This undated photo shows William Trevor, author of Cheating at Canasta, Love and Summer and other collections and novels. William Trevor has been writing for more than 50 years and has won more literary awards than we have time to list here. Trevor has published 14 novels, but he is even more celebrated for his short fiction. 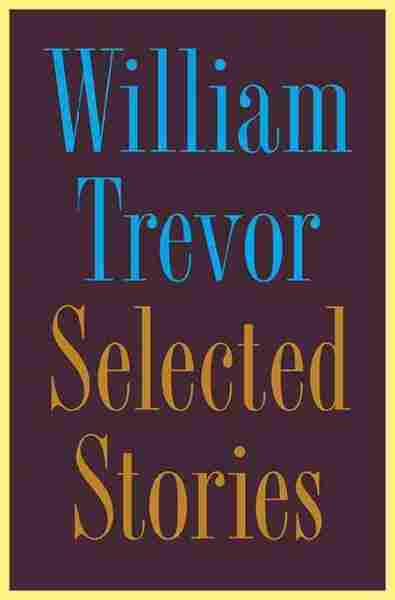 Fresh Air's book critic Maureen Corrigan has an appreciation for Trevor and a new volume of his selected stories. At the risk of sounding like an old geezer -- prematurely, I might add -- I think the idea of curling up on a large piece of upholstered furniture with my fur ball of a dog nestled beside me and a good story to read sounds like the ideal winter endurance strategy. If you're the seriously dormant type, too, I have a book to recommend that packs so many good stories into one volume that, if the demands of everyday life permit, you could stay safely socked away in your reading burrow till the first thaw. 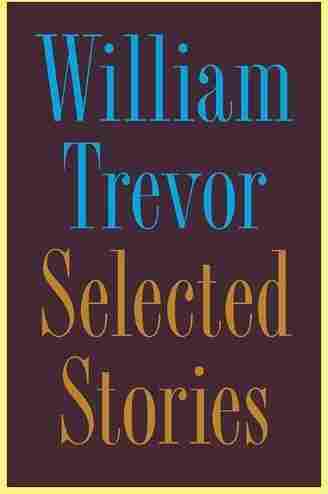 The book is the recently published second volume of William Trevor's Selected Stories -- the writer anointed by The New Yorker as "the greatest living writer of short stories in the English language" and anointed by me as the hibernating bookworm's best friend. Trevor is a master of capturing those small shifts in consciousness that shatter someone's world. Because he's an Irishman living in exile (Trevor has lived most of his long life in England) and because so many of those aforementioned epiphanies take place oh-so-discreetly, the comparisons to James Joyce have been inevitable. But as the 48 recent stories in this volume attest, Trevor has a more developed taste for the macabre than Joyce ever did. It creeps up on a reader slowly: the awareness that so many of these tales are about being trapped, buried alive, thwarted at every turn of life's labyrinth. And, yet, the signature response of Trevor's characters to their bricked-in situation is a fatalistic shrug garnished with Black Irish humor. The lead-off tale here is called "The Piano Tuner's Wives," and the tidy first paragraph supplies the plot in miniature: "Violet married the piano tuner when he was a young man. Belle married him when he was old." Belle, the 59-year-old second wife, was once the town beauty, "smart in her clothes," who, decades before, was cast over by the piano tuner for her rival, Violet. Now Violet is in her grave and Belle is in the marriage bed, and yet Violet still haunts their lives. Because the piano tuner is blind, he had relied for decades on his first wife to be his eyes, so Belle literally hears her dead predecessor constantly speaking through her husband's descriptions of the physical world. In the brilliant climax of the tale, Belle vindictively decides that if she can't banish her predecessor, she'll just banish the world Violet once inhabited. "The Piano Tuner's Wives," like most of Trevor's stories, takes place in an Ireland that seems out of time: Most of Trevor's characters would have been right at home in the Ireland of the Celtic Twilight, rather than the twilight of the Celtic Tiger. In "The Hill Bachelors," for instance, a young man named Paulie leaves his job in England to attend his father's funeral in rural Ireland. Silently, Paulie's four adult siblings conspire to appoint him the sacrificial lamb who'll stay on to help his aged mother run the isolated farm. The farming life Paulie passively agrees to could have been led by a character out of John Ford's 1950s classic about 1930s Ireland, The Quiet Man. "This love affair had once, like the other affairs before it, felt like the exorcism of the disappointment that so drearily coloured her life when her parents went their separate ways. ... Both [parents] said the separation was a happier outcome than staying together for the sake of the family. They used those words, and Harriet has never forgotten them. Her brother shrugged the disappointment off, but for Harriet it did not begin to go away until the first of her love affairs. And always, when a love affair ended, there had been no exorcism after all." Trevor's outcasts never make obvious bids for our sympathy, but they elicit it nonetheless. The stories collected here also compose a quietly devastating argument for the beauty and power of the short story form as tool for cutting to the quick of human desire and vulnerability.